Long Island Chapter 7 Trustee Robert L. Pryor enjoys a great deal of respect from the bankruptcy bar who recognize him as a bankruptcy attorney who is not only savvy with issues in large-scale corporate restructuring Chapter 11 cases, but also familiar with the finer legal issues surrounding consumer cases. Bob has been involved in several high-profile cases in the past. 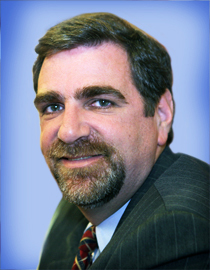 Bob has been a panel trustee in the Eastern District of New York since 1984, where he is assigned cases filed in the Central Islip Bankruptcy Court. 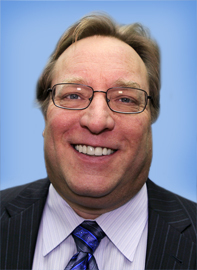 Bob is the managing partner and co-founder of the Westbury bankruptcy law firm, Pryor & Mandelup LLP,. He and partner, Scott Mandelup, began that firm in 1987. Prior to that time, Bob had his own firm in Hempstead. Bob obtained his bachelor of arts degree, Phi Beta Kappa, from Hobart and William Smith Colleges in 1974, and his law degree from Hofstra University Law School in 1981. He was admitted to practice law in New York in 1982. He is very active in the bankruptcy bar and frequently lectures on a variety of issues. I have often quoted and written about the commentary Bob has provided at continuing legal education programs. Bob has been a featured speaker at county and state bar association seminars, as well as tax symposiums. In February of this year, Bob and I were on a panel of speakers, together with Judge Eisenberg and Trustee Andrew Thaler, in which we gave a bankruptcy presentation to attorneys and judges in a program of the Theodore Roosevelt American Inns of Court . Bob has a reputation of being a highly knowledgeable Chapter 7 trustee who tends to be fair and realistic, and who is usually guided by sound business judgment. 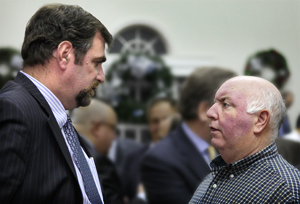 He is one of only two trustees in the Central Islip Bankruptcy Court who requires debtors appearing before him to provide a laundry list of documents before the meeting of creditors. This is a relatively new requirement that he implemented this year. Bob lives on the North Shore of Long Island. Outside of practicing law, one of his passions is tennis. Although it looks like he is testifying at some Congressional committee, I took the photo of Bob at a recent bankruptcy seminar in which he was a panelist. 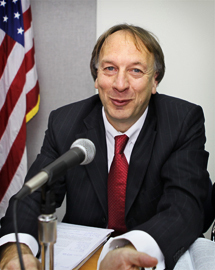 Long Island Chapter 7 bankruptcy trustee R. Kenneth Barnard, Esq. has been on the Chapter 7 trustee panel for the Eastern District of New York since about 1990, where he is assigned cases filed in the Central Islip Bankruptcy Court. His office is located in Babylon, New York and he is also a sole practitioner handling bankruptcy, litigation and real estate matters. Ken was admitted to practice in 1985. He graduated from New York University, and he received his law degree from Hofstra Law School in 1984. One of Ken’s passions is race horses. In addition to owning several of them, he has trained several racing horses, including The Dwight Stuff, which raced in the New York State Thoroughbred Breeding and Racing Program, and Leave it to Betsy, which raced at Aqueduct. 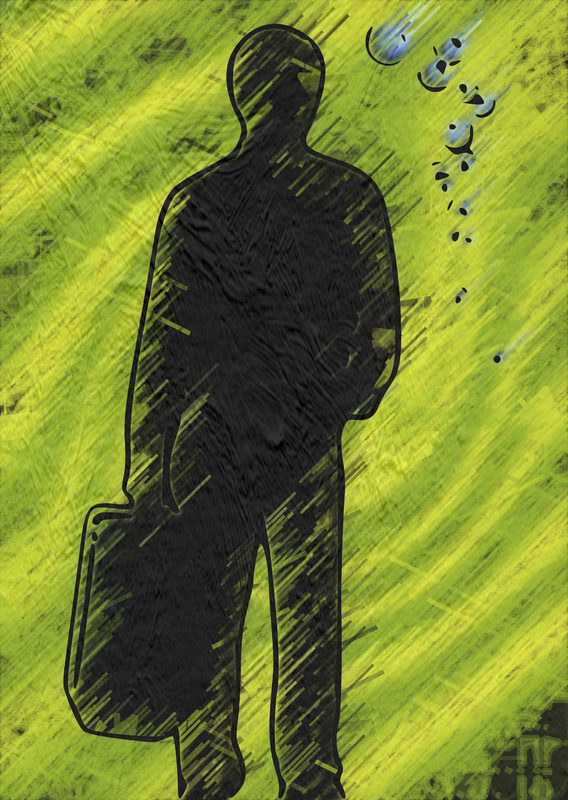 Unlike many of the other Chapter 7 trustees, Ken does not actively participate as a panelist in bankruptcy seminars. He also tends to use other lawfirms to handle all of his trustee litigation matters. Ken is known for meticulously reviewing the petitions of each and every debtor who appears before him. I took the photo of Ken at a recent Bar Association bankruptcy seminar. Long Island Chapter 7 bankruptcy trustee Allan B. Mendelsohn got his start in bankruptcy by representing creditors and mortgage companies. In the late 1980s, when I was representing consumer debtors, Allan was quite busy in a high-volume mortgage foreclosure practice, bringing motions to lift the stay in my Chapter 13 cases. 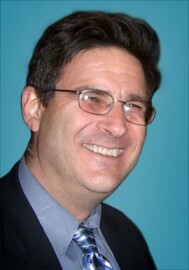 Allan eventually moved on, and in 1990, became a founding member of his firm, now known as Zavatsky Mendelsohn & Levy, LLP, located in Syosset, New York. A large part of the firm’s practice consists of representing mortgagees in foreclosure and bankruptcy proceedings. In 1990, the same year he co-founded his firm, Allan also became a member of the panel of Chapter 7 trustees for cases in the Central Islip Bankruptcy Court, which is in the Eastern District of New York. 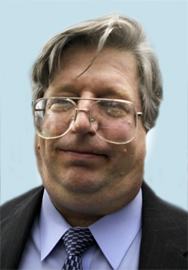 Allan has developed a good reputation for being a no-nonsense litigator with an expertise in bankruptcy and mortgage foreclosure real estate issues. He has also been frequently called upon by the Office of the U.S. Trustee to act as an appointed Chapter 7 trustee to administer large Chapter 11 cases that have been converted to Chapter 7, such as video-game developer Acclaim Entertainment. Allan graduated from Long Island University C. W. Post College in 1979. He attended Hofstra University School of Law, graduating in 1982. He was admitted to the New York bar in 1982. He often speaks at symposiums and bar association seminars about his area of expertise – the effect of bankruptcy on foreclosure. Allan’s firm represents several large mortgagees, including North Fork Bank, Bank of America, GreenPoint Mortgage Corp., Ponce de Leon Federal Bank, M&T Mortgage Corp., Federal Home Loan Mortgage Corporation, and Champion Mortgage. If the bankruptcy court assigns Allan a Chapter 7 bankruptcy case of a debtor who has a mortgage with one of these companies, Allan is required to recuse himself from acting as the trustee on that case, because of the rules regarding conflicts of interest. Allan lives on the North Shore of Long Island. In addition to his Chapter 7 trustee matters, Neil heads the Bankruptcy and Debtors’ and Creditors’ Law Department at the Mineola law firm, Meltzer Lippe, where he has been since 2003. Prior to that, Neil headed the Bankruptcy and Creditors’ Rights practice at Rivkin, Radler & Kremer between October 1992 and February 1995, and for the year prior thereto at Finkelstein, Bruckman, Wohl, Most & Rothman. Long Island Chapter 7 bankruptcy trustee Richard L. Stern, Esq. has been on the Chapter 7 trustee panel for the Eastern District of New York since 1992, where he is assigned cases filed in the Central Islip Bankruptcy Court. I have personally known “Rick” since 1985 when he was an associate at Holland & Zinker, one of Long Island’s earliest bankruptcy boutique law firms, where he eventually became a partner. Incidentally, Marvin Holland, name partner in that firm, left to serve as a bankruptcy judge in the Brooklyn Bankruptcy Court. He has since retired. Rick eventually moved on became a partner with Chapter 13 trustee Michael J. Macco many years ago, and they’ve been partners ever since in the firm, Macco & Stern, LLP located in Melville. As a trustee I find Rick to be fair, reasonable, respectful and even-tempered. Rick enjoys an exceptionally good reputation in the legal community and the bankruptcy bar. He very frequently speaks at and moderates bankruptcy seminars for the Suffolk County Bar Association. Few attorneys volunteer more time towards the legal profession than Rick. As for Suffolk County bankruptcy attorneys, he’s probably at the top of the list in this regard. Rick is currently the Dean of the Suffolk Academy of Law and he also serves as a member of the Board of Directors of the Suffolk County Bar Association. In addition, he’s received numerous awards including the New York State Bar Association Pro Bono Service Awards for 1992 and 1996. The Suffolk County Bar Association recognized him in 1991 and 2002 with a Special Recognition Award from the Pro Bono Foundation for his work in the Pro Bono Project Bankruptcy Clinic and a Director’s Award in 2005. I attended a dinner in 2003 at which time Rick received a Partners in Justice Award from Nassau/Suffolk Law Services for his pro bono work. Rick was admitted to practice in 1978. He graduated from Ohio State University in 1974, and he received his law degree from Hofstra Law School in 1977. Rick and his wife, who live in Nassau County, enjoy the theater. We have seen each other at Broadway Shows. One of his children actually starred in a Broadway musical several years ago – The Will Rogers Follies. I remember Rick sometimes rushing out of Court to take his daughter to appear in the show in the early 1990s. I took the photo of Rick when he was moderating the Bankruptcy Law Update seminar at the Suffolk County Bar Association in December. Long Island Chapter 7 bankruptcy Trustee Kenneth Kirschenbaum has the distinction of being the senior-most member of the panel of Chapter 7 trustees for the Eastern District of New York for cases assigned to the Long Island Bankruptcy Court in Central Islip. He has been on the panel since 1978. 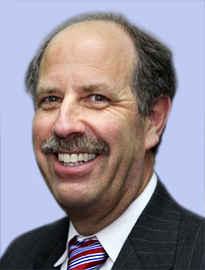 For a few years in the early 1980s, Ken also served as a Chapter13 trustee in the Brooklyn Bankruptcy Court. Ken grew up in Nassau County and attended Herricks High School. He then graduated from Adelphi University with a major in psychology in 1970. This led to jobs at Creedmoor Psychiatric Center and the Maimonides Institute in Far Rockaway where he taught emotionally disturbed students for a year as he attended a graduate program for a Masters Degree in Clinical Psychology at St. Johns University. After one year there he attended Brooklyn Law School – his father’s alma matter – and the law school where he much later sent his daughter, Jennifer, to get her law degree. He received his law degree in 1974. In 1977 he formed a partnership with his father, who Ken says was a role model. Their firm, Kirschenbaum and Kirschenbaum P.C., is located in Garden City. His law firm has developed a national reputation for representing companies in the burglar and fire alarm industry, and a significant portion of his practice is devoted to that. As a trustee, Ken has a reputation for actively and vigorously pursuing assets large and small, even those that may have a relatively low non-exempt value, especially cars. He is known to rely heavily on his associates. He is also the only trustee on the panel of Chapter 7 trustees in the Central Islip Bankruptcy Court who has a long laundry list of items that he requires debtors to produce before he will meet with them at the meeting of creditors. These include bank statements, credit card statements, certificates of title to cars, copies of deeds, and homeowners insurance policies. Ken was involved in a rather interesting case that I posted about during the summer: Chapter 7 Bankruptcy Trustee Kenneth Kirschenbaum and Nassau County District Attorney Fight Over Assets After Debtor Commits Suicide . He was also the trustee in another interesting case that I wrote about for the Suffolk Lawyer: Dying Octogenarian’s Secret Drives Spouse Into Bankruptcy . Mr. Kirschenbaum’s wife, Lois Kirschenbaum, is a well-known real estate broker. They have two grown children including Jennifer Kirschenbaum, who is an attorney in her father’s firm. Ken is a former board member at his temple and director of the Old Westbury Horseman’s Foundation. Once an avid horseback rider, he now spends his recreational time pursuing golf. Ken is the only person I know who drives a Rolls Royce. He lives in Nassau County.